Langerhans cells (LCs) are located in the skin (the epidermis and the dermis) of the respiratory, digestive and urogenital tracts. They can also be found in other tissues such as lymph nodes, particularly when the condition Langerhans cell histiocytosis (LCH) is involved. LCs help to protect you by keeping dangerous antigens (any substance that causes the immune system to produce antibodies against it) from entering your body. 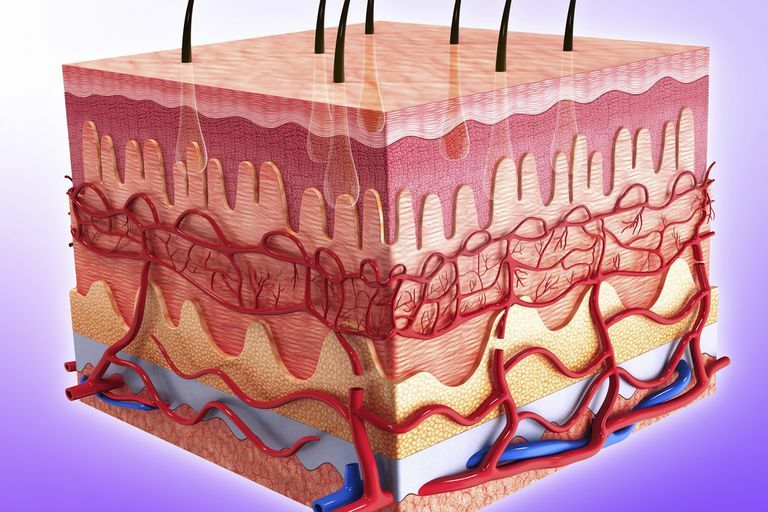 Discovered by a 21-year-old German medical student, Paul Langerhans, in 1868, Langerhans cells are present in all layers of the epidermis and are members of the dendritic family. Dendritic cells are immune cells that present antigens to the immune system and are found all throughout the body. LCs are dendritic cells in the skin and since dendritic cells are extremely efficient at alerting the immune system to the presence of pathogens and other foreign materials, the skin is an important barrier to infection. By protecting your skin from infection. Langerhans cells send out special agents—immune cells such as T cells and B cells—immediately after sensing any kind of danger in the skin. The immune cells capture trespassers such as bacteria and viruses and fight off injuries like cuts and scrapes. The environment of the skin is constantly monitored by LCs for unsafe situations and the immune cells are sent to bring back information about any foreign invaders. The body then amasses a great force of inflammatory cells to fight off invaders by creating an allergic reaction or forming scar tissue to protect from infection. New research suggests that Langerhans cells are able to identify and attack viruses from the surrounding environment, thereby preventing infection. This finding that LCs are involved in immune responses against various diseases could make them potential targets for immunotherapy. Psoriasis: A condition in which skin cells build up and form scales accompanied by some redness, itchiness and dry patches. Lupus: An inflammatory disease caused when the immune system attacks its own tissues. Skin cancer: The most common form of Cancer in the US, characterized by the abnormal growth of skin cells. There may also be the development of topical vaccines administered through the skin (Epicutaneous immunization) that focus on loading LCs directly into the skin with antigens. Research is already looking at vaccines given through barrier-disrupted skin in order to inhibit the growth of melanoma, a serious type of skin cancer. What is Langerhans Cell Histiocytosis (LCH)? Langerhans cell histiocytosis (LCH) is a group of rare, idiopathic disorders which can cause damage to the skin, bones and other organs. An overload of cells similar to LCs are produced in this disorder, however, LCH cells show a different, hematopoietic (blood cells) origin for the disorder. Langerhans P. Über die Nerven der menschlichen Haut. Virchows Arch [A]1868; 44: 325–337. Seo N., et al. Percutaneous peptide immunization via corneum barrier-disrupted murine skin for experimental tumor immunoprophylaxis.Proc Natl Acad Sci USA2000; 97: 371–376. Yagi H., et al. Induction of therapeutically relevant cytotoxic T lymphocytes in humans by percutaneous peptide immunization. Cancer Res 2006; 66: 10136–10144.